Home » lifestyle » Another slay queen trending online after she was spotted wrapping huge "igbo"
Another slay queen trending online after she was spotted wrapping huge "igbo"
Some Slay queens have a knack for showing off high grade pot of sh1sha. Authorities are yet to legalize w33d but the situation on the ground shows the holy w33d isn’t prohibited. 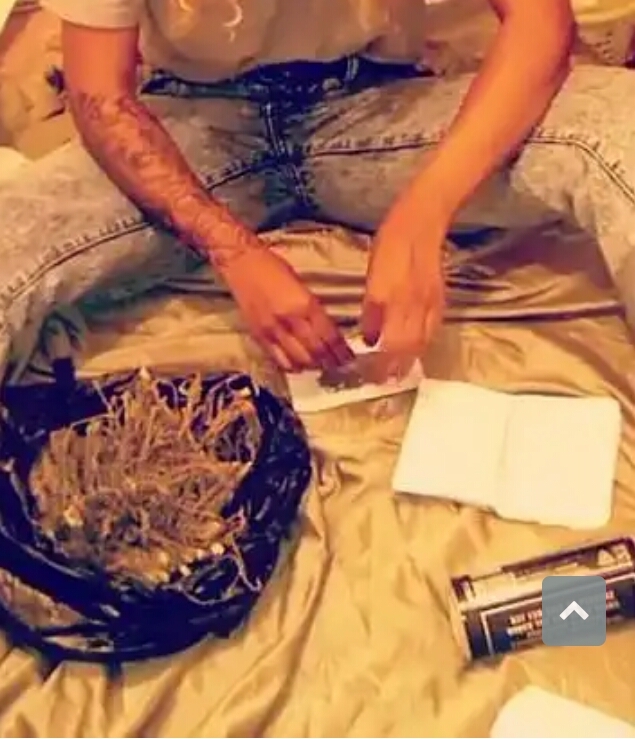 The young lady was seen rolling up dried "igbo" on a piece of paper as she prepared to get high. At some point she was lying fallow in bed completely on her birthday suit as she held on to the "igbo" with one hand. It seems she smokes a lot given that she had a black plastic bag full of dried igbo.